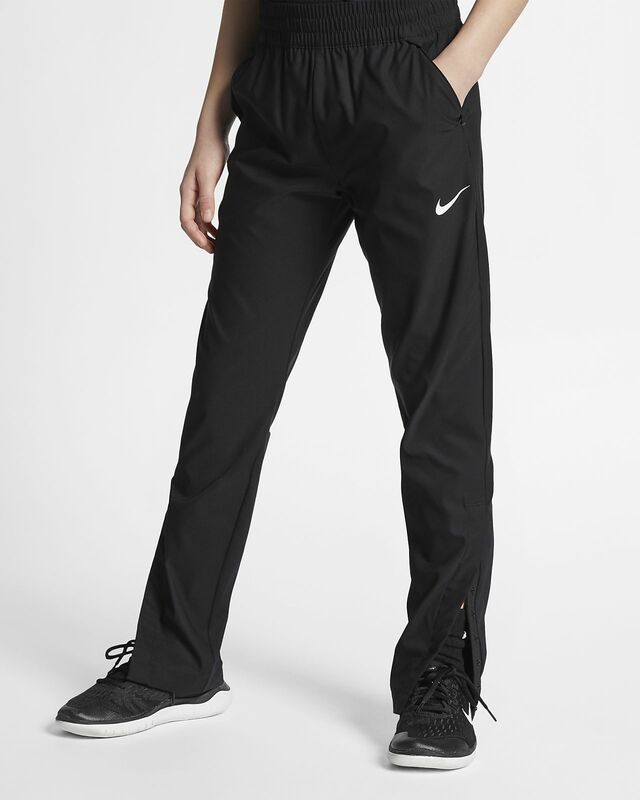 The Nike Dri-FIT Pants help you stay dry and comfortable with stretchy, sweat-wicking fabric. Snaps at the ankles let you slip these on and off without taking off your shoes. 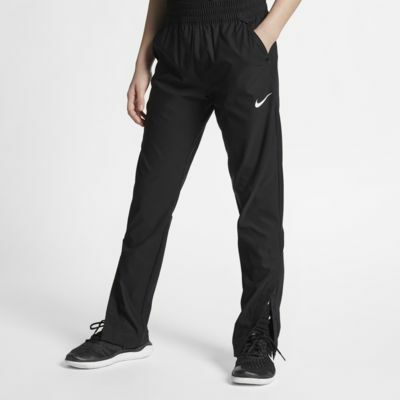 Stretchy woven fabric is lightweight and lets you move freely. Snaps at bottom legs make it easy to change with shoes on. Fabric: Body: 100% polyester. Panels: 83% polyester/17% spandex.